Engine Specs & Performance: 4.2-liter V8 349 hp (260 kW), reaches 0-100 km/h or ~0-60 mph in just 4.8 seconds, top speed is electronically limited to 250 km/h (155 mph). Base price starts from around 54,000 USD ($), special edition starts from around 69,000 USD ($). This car is rolling on 20″ Rennes wheels wrapped around in Toyo PX4 tires. Custom painted black exterior and red interior. 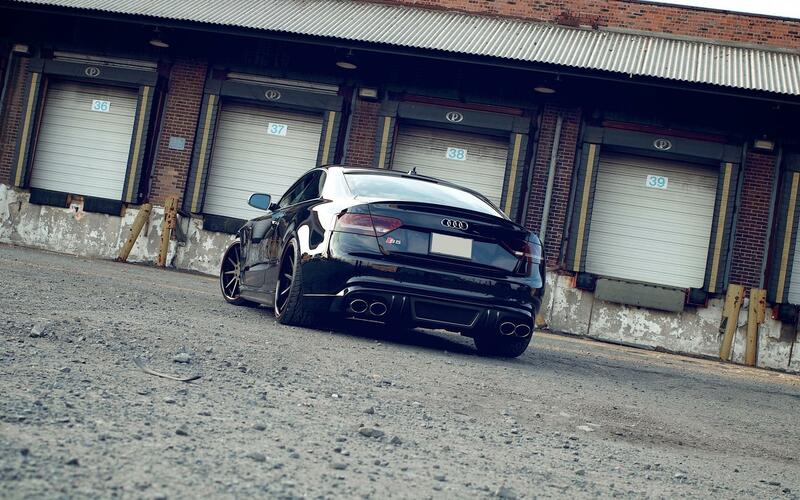 Exterior has European style RS5 front grille, Rieger aero kit, and clear lens headlights. Rear side has smoked taillights and a rear lip spoiler. Also it has Rieger exhaust system.